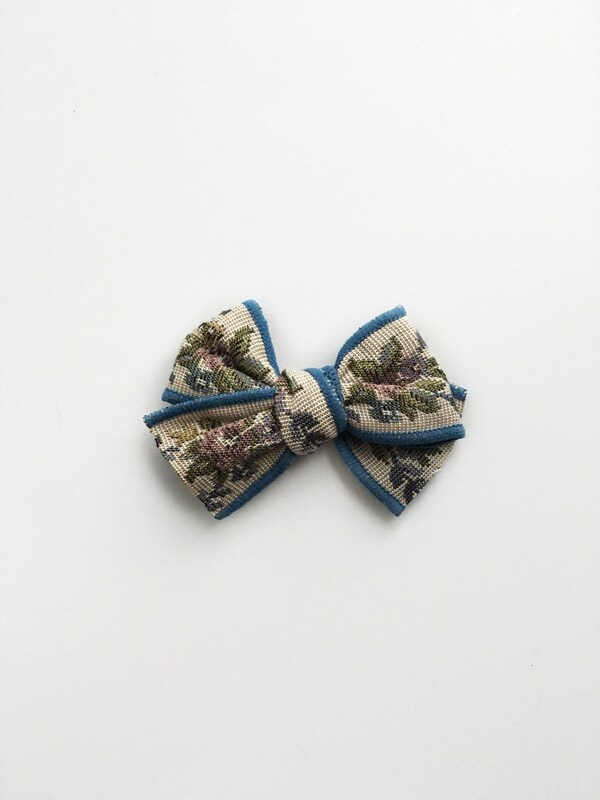 This bow is made with absolutely beautiful flower embroidered Japanese ribbon. 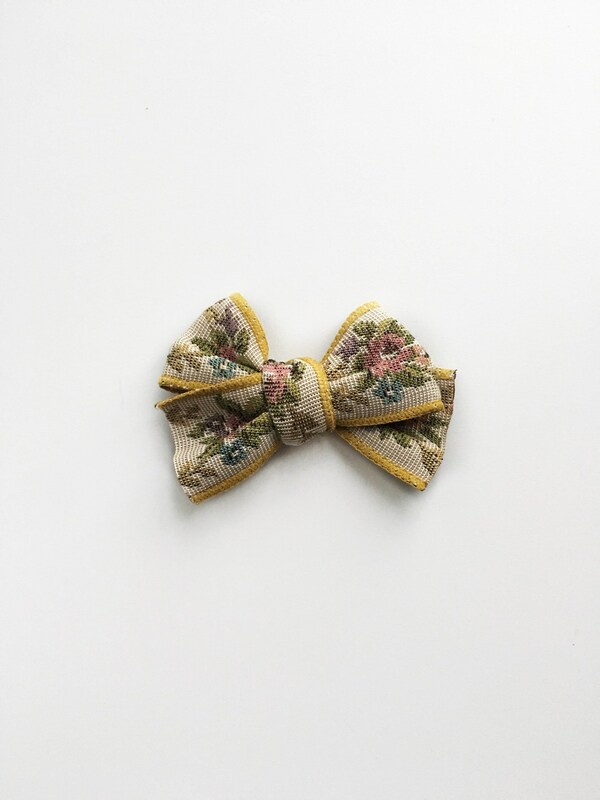 The detail of the embroidery is just so beautiful in person. 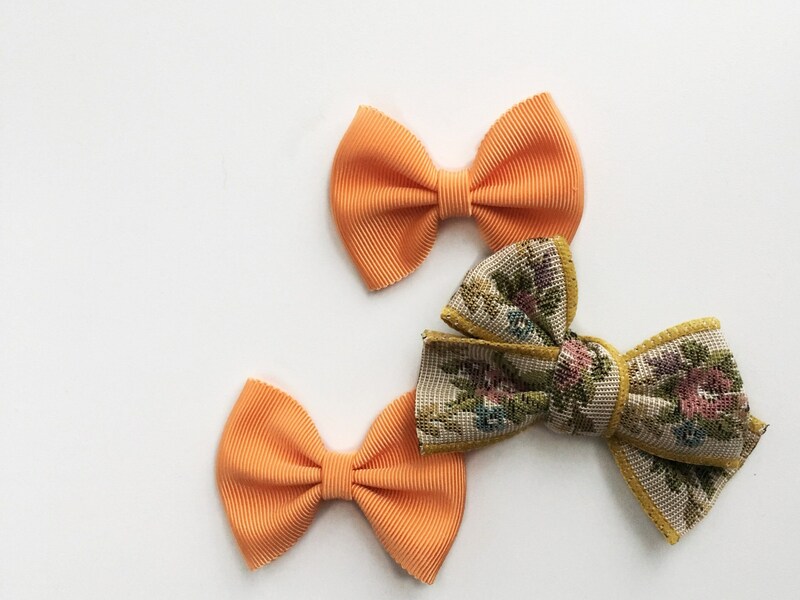 If you are looking for one of a kind hair bow to give that vintage vibe to match your linen romper or peasant dress, this is the perfect bow for that outfit! 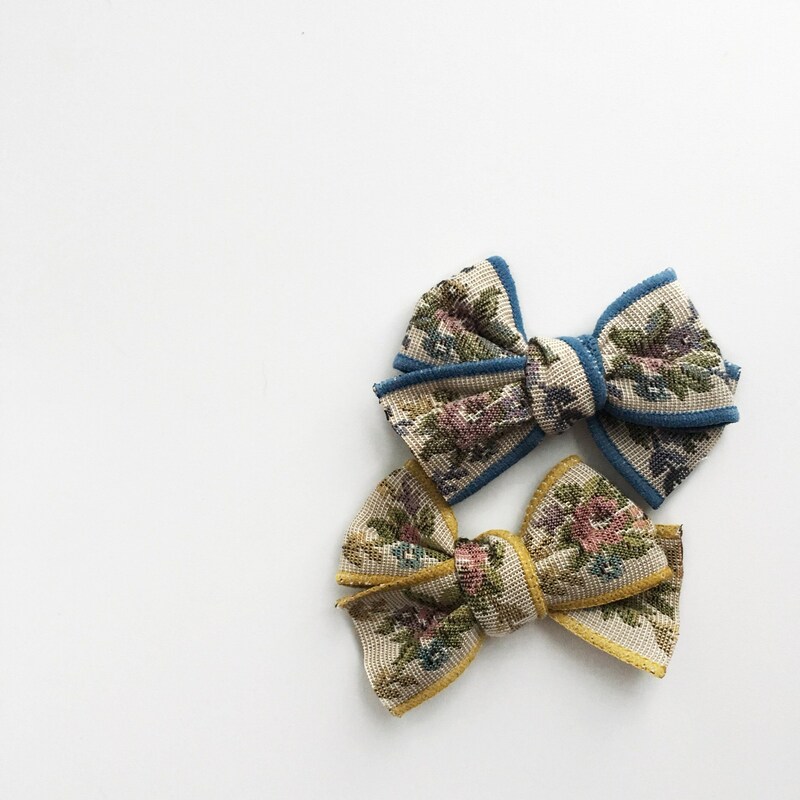 * Every item is handmade and made to order, please look at each listing for its process time.